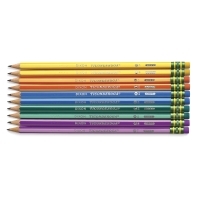 "The World's Best Pencil" now comes in an assortment of bright fashion colors! Ticonderoga No. 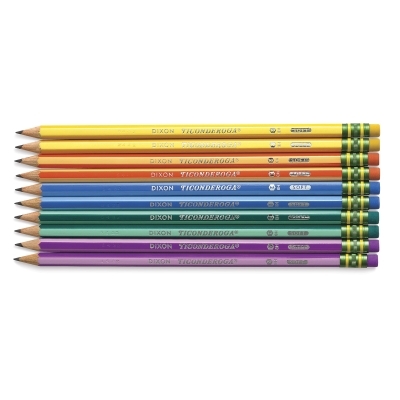 2 Striped Pencils feature alternating striped panels that stand out in any setting. Made from premium wood and an exclusive graphite core, these presharpened pencils have top-quality latex-free erasers for easy, clean corrections. ® Dixon is a registered trademark. 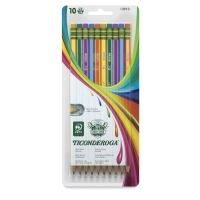 ® Ticonderoga is a registered trademark.